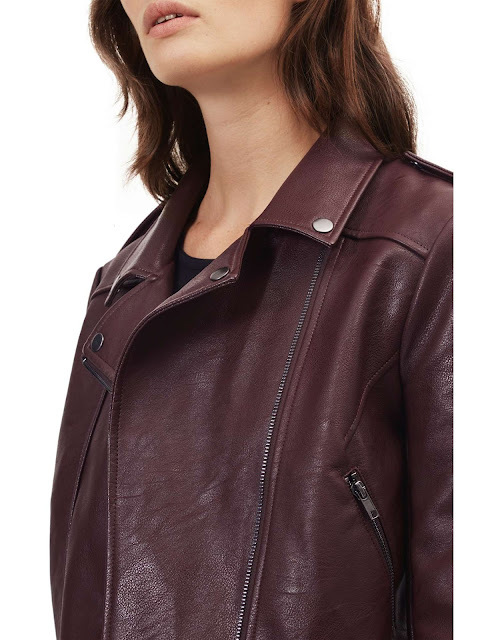 The Great Plains Hayden Biker Jacket | Burgundy or Green? 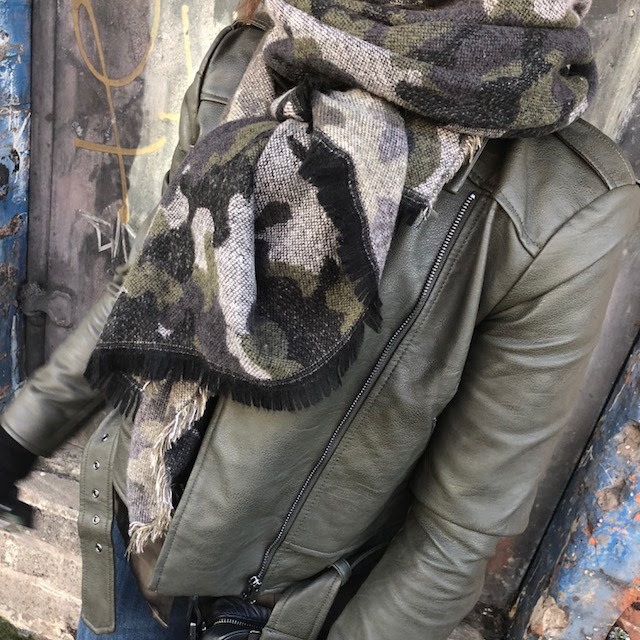 I'm such a fan of biker jackets now - where did that come from? I used really struggle with them but when I realised how fab they look with dresses, I was all over them. But is black your only option? 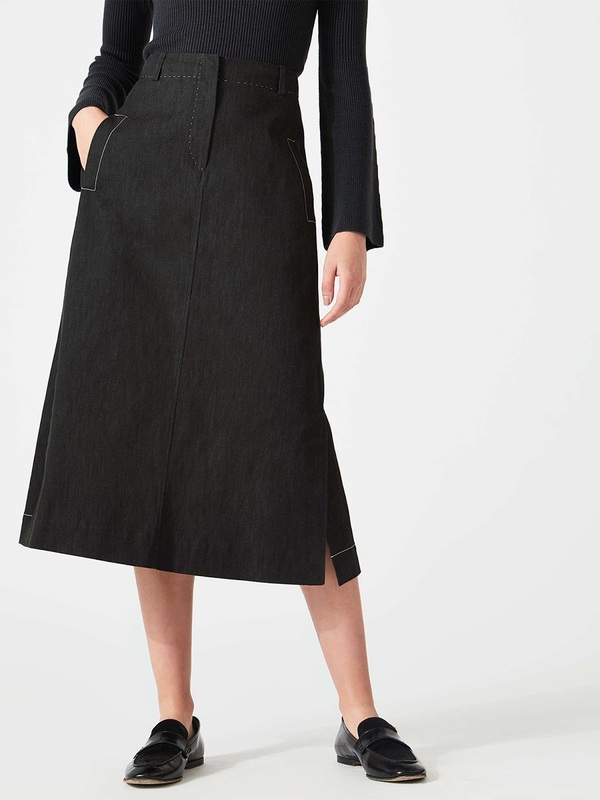 I've tried yellow (slightly too mad) and navy (jury's out) and had begun to think that maybe classic black *is* the only really versatile year-round option. 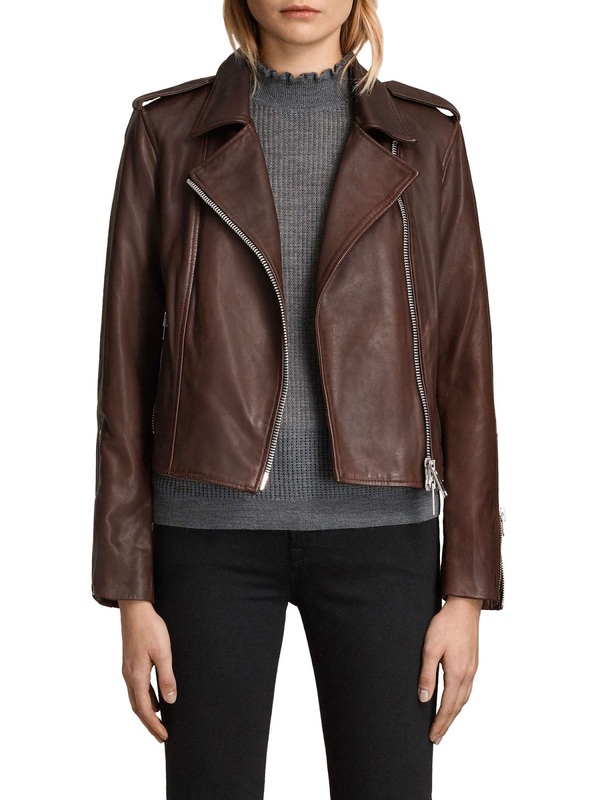 But then one of my friends got an All Saints leather biker jacket in the most gorgeous shade of burgundy/brown and suddenly, this was the missing link. I had to have one.....but at a less spend price and then I spotted this beauty in local boutique, Harrison Fashion and tried it on. Perfection. For £50. It's sold out in Harrison now but I've a link below to the same jacket in House of Fraser. I bought the S which is a pretty accurate 10. I think it works so well because it's got a matt finish and so doesn't look too much like fake leather. It's also the perfect length for wearing with dresses and skirts, finishing on me at my natural waist. Here it is with my M&S midi skirt from my post earlier in the week. oh and I wanted to share this close up showing the scarf and jacket but also my Petra pendulum earrings from local company Lines & Current (purchased in Woven, Banbridge) I need to wear earrings more. And this is where the blog post should have ended. But oh no....when I was on the House of Fraser site, I discovered that the burgundy jacket also comes in a green colour way...so it would have been wrong not to take a closer look. For research purposes? It arrived this morning just as I was finishing this post. I put it on and wore it immediately. I think I might actually love it more than the burgundy! And do you know what I'm thinking, maybe the coloured ones are easier to wear with denim? Black leather biker with denim is what I struggle to wear. But burgundy or green with denim seems like a much softer/nicer way to wear a biker. I'm fully converted. Already thinking of all the outfits I'm going to wear these jackets with. Prepared to be fed up of seeing them. Hope you're having a happy weekend - back soon.....I'm on a blogging roll! Disclaimer - I bought both jackets myself. Items gifted are marked on each photo. Some of my links are affiliate links which mean that the company knows you have been redirected from here and they may pay me a small commission if you buy and keep the item. They are both fab! Get both! 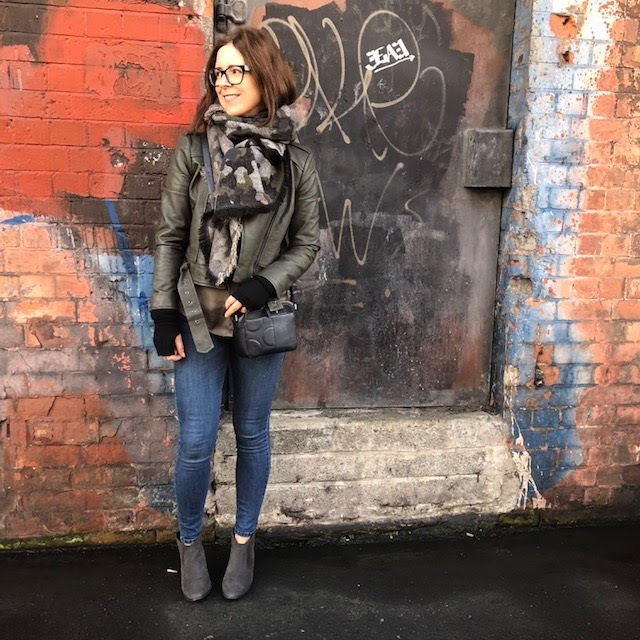 I bought a burgundy leather biker in the autumn and it's my favourite item in my wardrobe. Not sure about the green. Just bought those earrings , have been looking for something similar for a while. I'm in Dublin so their postage is bit pricey, so did the parcel motel option ! I have faux-leather jackets in both those colours and I wear them both regularly. They just go with everything.